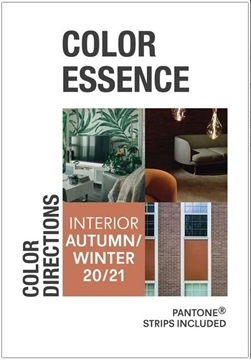 Autumn/Winter 2019-20, A book filled of inspiration and information regards "what is going on within Home & Decor". An easy-to-use book with explanations that will take you through 8 different themes. 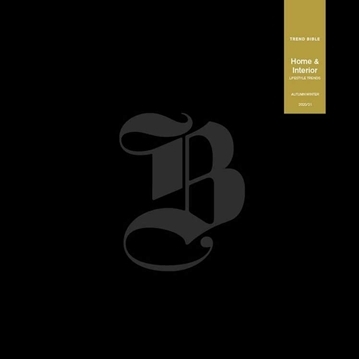 Spring/Summer 2020, A book filled of inspiration and information regards "what is going on within Home & Decor". An easy-to-use book with explanations that will take you through 8 different themes. 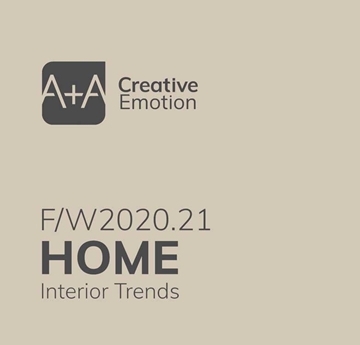 Autumn/Winter 2020-21 A book filled of inspiration and information regards "what is going on within Home & Decor". An easy-to-use book with explanations that will take you through 8 different themes. 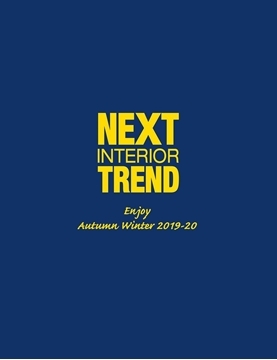 Autumn/Winter 2020-21 Tremendously and comprehensive interior trend book, incl colours, materials, structures and a range of original material samples are presented for each theme in an inspiring and ostensive manner. 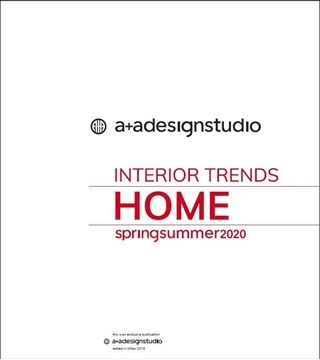 Spring/Summer 2020, Tremendously and comprehensive interior trend book for spring/Summer 2020. Colours, materials, structures and a range of original material samples are presented for each theme in an inspiring and ostensive manner. 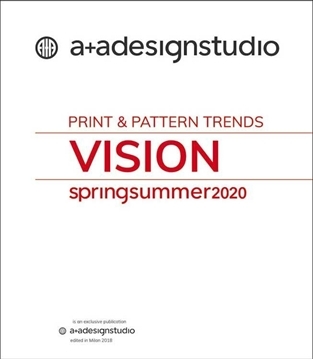 Spring/Summer 2020, this is a complete trend publication with a comprehensive overview of contemporary and upcoming prints and patterns! 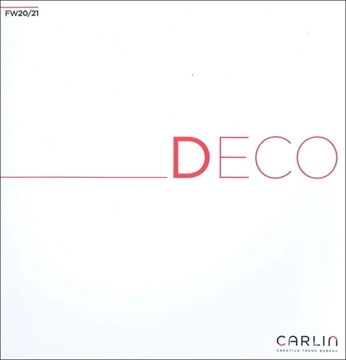 The book is perfect for target groups of women trends and interior decór. 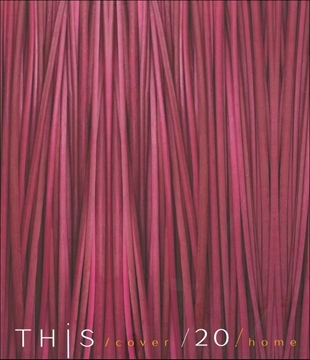 Autumn/Winter 2020-21 this is a complete trend publication with a comprehensive overview of contemporary and upcoming prints and patterns! The book is perfect for target groups of women trends and interior decór. FROM THE EDITOR: Between Millennials and GenerationZ, understanding what is driving their beliefs, values, behaviours and style, is critical to the successful evolution and adaptation of brands. Millennials are getting older and their habits and lifestyle are also changing, passing the "magic ball" to their younger peers. GenZ may not have as large a market share today, but indirectly they influence their parents spending decisions and will certainly have their own spending power in the future. One important aspect to highlight is their ability to connect instantly and disseminate information and styles globally. They are looking for authenticity, ready to express their beliefs any which way possible and Art is one important way of doing it. 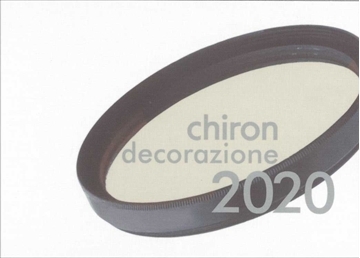 Autumn/Winter 2020-21, Trends and must-haves, the tool for your home collections. Trends and must-haves, the tool for your home collections. Choose between Digital, Book or as a package of both, see respective article below. 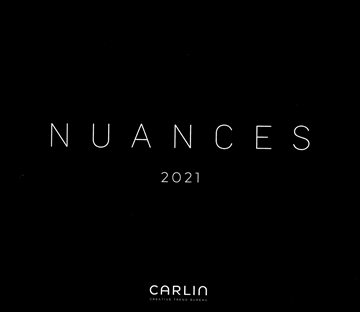 2020, Carlin has put all their experience and know-how in his prospective trend book NUANCES. The concept offers a new reading of the color and material's life cycle, through harmonious, innovative and emotion-filled stories, materials and surface concepts. Perceived before form, color possesses an evocative power that influences product appeal. It helps to characterize areas of activity - automotive, furniture, telephony, distribution, food, domestic arts, with consumer premium goods markets in target. 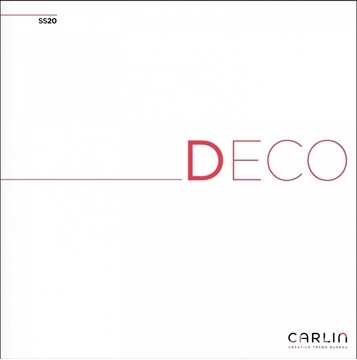 2021 Carlin has put all their experience and know-how in his prospective trend book NUANCES. 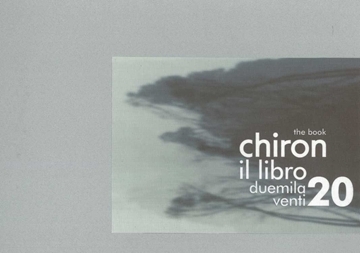 The concept offers a new reading of the color and material's life cycle, through harmonious, innovative and emotion-filled stories, materials and surface concepts. Perceived before form, color possesses an evocative power that influences product appeal. It helps to characterize areas of activity - automotive, furniture, telephony, distribution, food, domestic arts, with consumer premium goods markets in target. 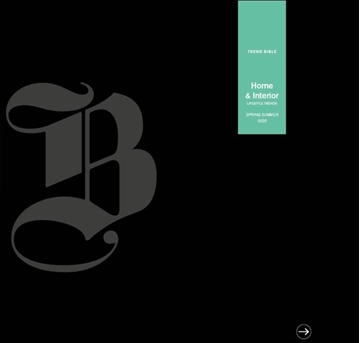 Frame is the world's leading trade magazine about interior and product design. The most interesting, contemporary designs from around the globe: Frame shows where to find them and presents them in 6 inspiring issues. The magazine focuses on photos and drawings and is an indispensable reference for professionals in interior design and other creative people. 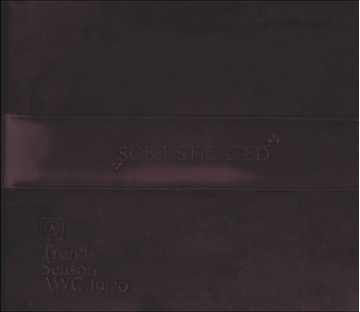 Autumn/Winter 2019-20, a beautiful trendbook in our range with focus on interior design, but it can also be used for those who work with women's collections. 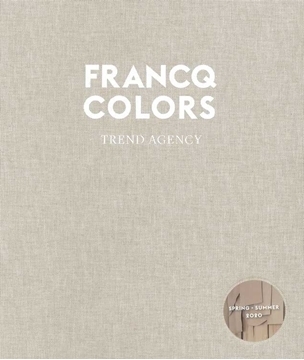 Francq colors contains references to the closest match in the Pantone TCX and PLUS system, as well as highlighting what is important for the season with very clear words. 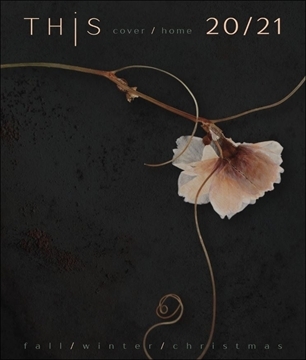 Spring/Summer 2020 a beautiful trendbook in our range with focus on Design/Interior /Fashion with focus on colour & concepts. 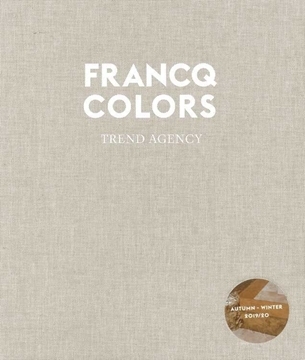 Francq colors contains references to the closest match in the Pantone TCX and PLUS system, as well as highlighting what is important for the season with very clear keywords. Trend information made applicable to interior and more market sectors. This magazine provides you with cutting-edge photo illustrations, high-end layout and graphic design, as well as professional comments and plenty of internet links for more in-depth research on brands, products, designers and all the other things covered in the magazine. Autumn/Winter 2019-20, The Guide that provides a clear overview of the strongest trends. A tool that quickly gives you as a designer, buyer and manufacturer in the interior industry access to the key trends and how you can apply them to your own products. 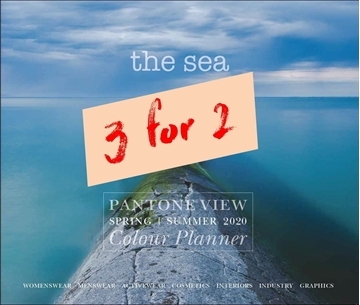 Add a colour swatchpack incl all 32 colours from the season in Pantone TCX swatches 1/4 smart cards below. 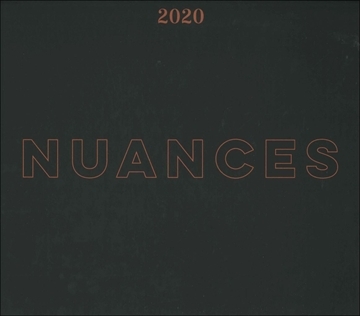 Spring/Summer 2020 published. 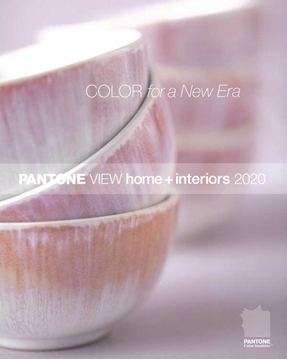 The Interior Guide that provides a clear overview of the strongest colour trends. A tool that quickly gives you as a designer, buyer and manufacturer in the interior industry access to the key trends and how you can apply them to your own products. 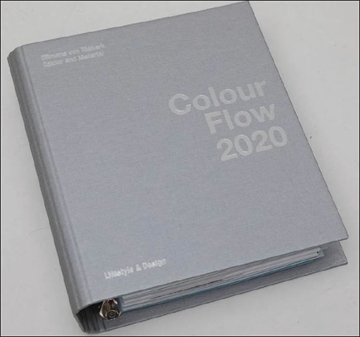 2020 edition, Colour Flow is the annual colour and material guide of Oltmans van Niekerk. 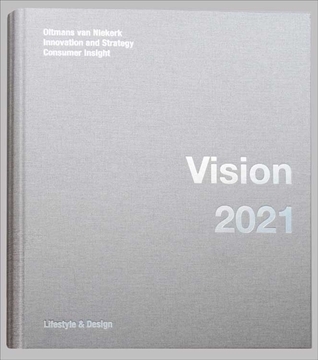 Colour Flow relates directly to the long-term trends that are identified in the annual lifestyle book 20/20 Vision. Colour Flow shows how to translate these trends into new colours and materials. These are not limited by season or fashion but attempt to analyse colours and materials for a wider and longer term perspective. Trends with a long term influence that could feature for five years or more. 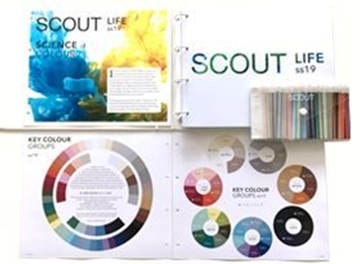 Colour Flow contains visual and tactile information that is waiting to be adapted to your specific product range. The book offers clear colour and material direction for anyone that is working with future product development. 9,890 SEK DISCOUNTED Start a subscription, with 2 editions and get current season extra + 7.5% discount on 1 year subscription, a total of 3 editions for 15,910 sec. The discount value is 9,890 sec. Add your order now to the "Shopping Cart" and note in "Message" that you want a "December Campaign Subscription". 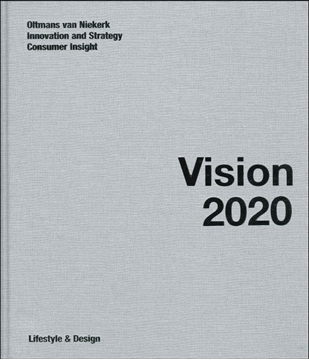 Spring/Summer 2020, Cross-industry forecast from the experts at Pantone Color Institute and View Publications. Colour chart for fashion (men's, women's, active), interiors, cosmetics and industrial design. Colours by trend themes with pointers on applicable areas. General colour chart. Original PANTONE® for fashion and home colour samples. 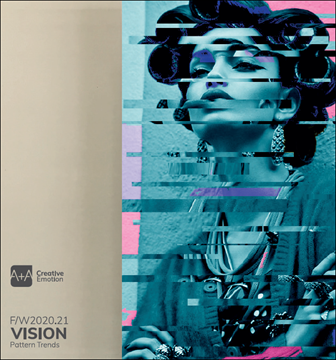 Autumn/Winter 2020-21, Cross-industry forecast from the experts at Pantone Color Institute and View Publications. Colour chart for fashion (men's, women's, active), interiors, cosmetics and industrial design. Colours by trend themes with pointers on applicable areas. General colour chart. Original PANTONE® for fashion and home colour samples. 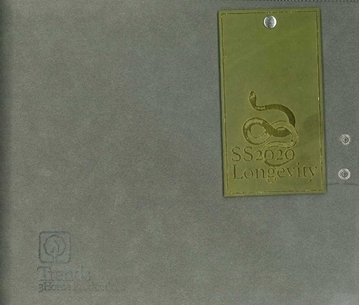 Trend 2020, Annual interior trend book with inspirational collage and Pantone Cotton Swatch-pack. 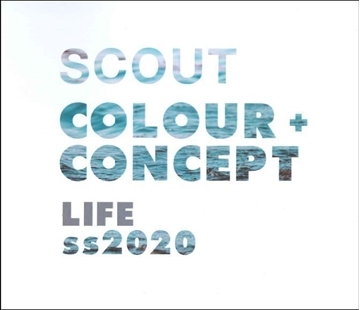 Welcome to Scout LIFE, a concept book exploring the world we live in and the things that surround us. Scout look beyond the present with a sharp eye on the future, taking in the social, environmental and global factors that will shape our lives. 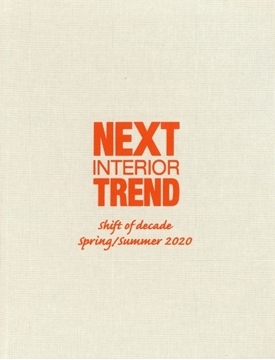 Navigates between the norm and the unexpected in our research and analysis of the home, interiors and fashion markets for Spring/Summer 2020. 1. Access for 5 users to SCOUT Complete Online Service, includes Women, Men, Casual Unisex and Life. Trend colour& interior concept book. Keeping pace in this fast-paced digital world influences all four home and interior themes for s/s 20. Natural and minimal influences continue to underpin design trends this season, as householders try to create a sense of calm at home to balance out increasingly chaotic lives. Cool, simplified interiors are referenced for Summer, while a more rustic, homely feel is explored for Spring. There’s still space for vibrant energy however, as we look for unusual and off-beat inspiration to counteract the passive, soulless consumption of visuals on platforms such as Pinterest and Instagram. We look to heritage and tradition to ground us and help make sense of this fast-paced digital world. Choose between Digital, Book or as a package of both, see respective article below.